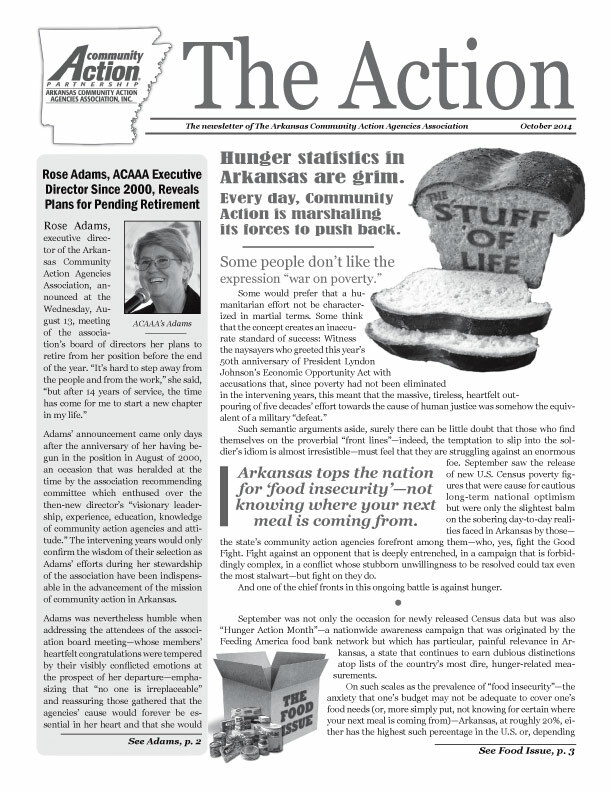 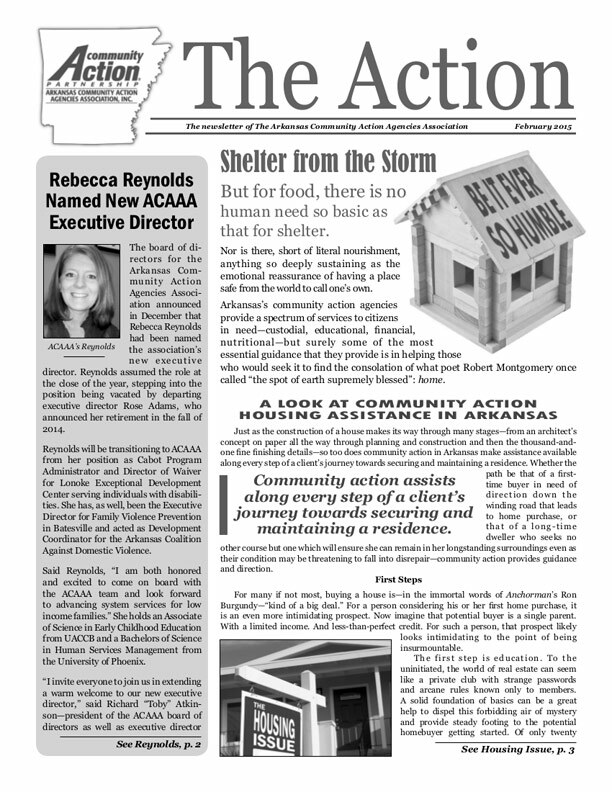 For almost 20 years, The Action has provided in-depth coverage of Arkansas’s Community Action Agencies at work across the state. 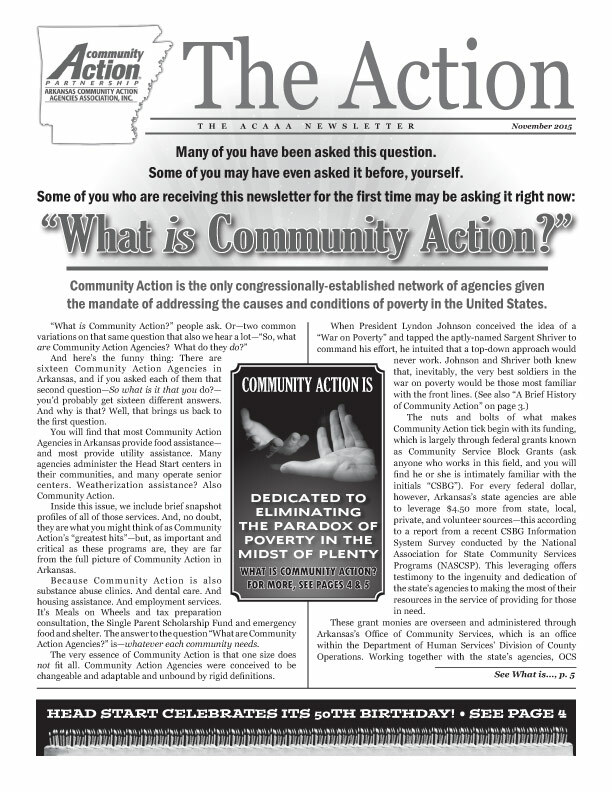 Issues from past years can be found archived below; more recent issues can also be read online at Issuu.com. 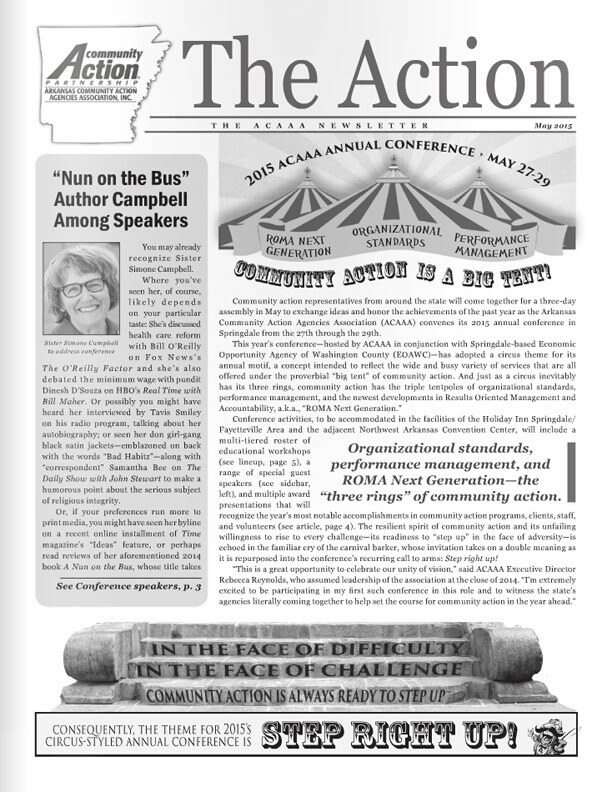 • ACAAA’s monthly “e-Action” newsletter is also archived: To access previous issues of the “e-Action,” visit here; to subscribe, visit here. 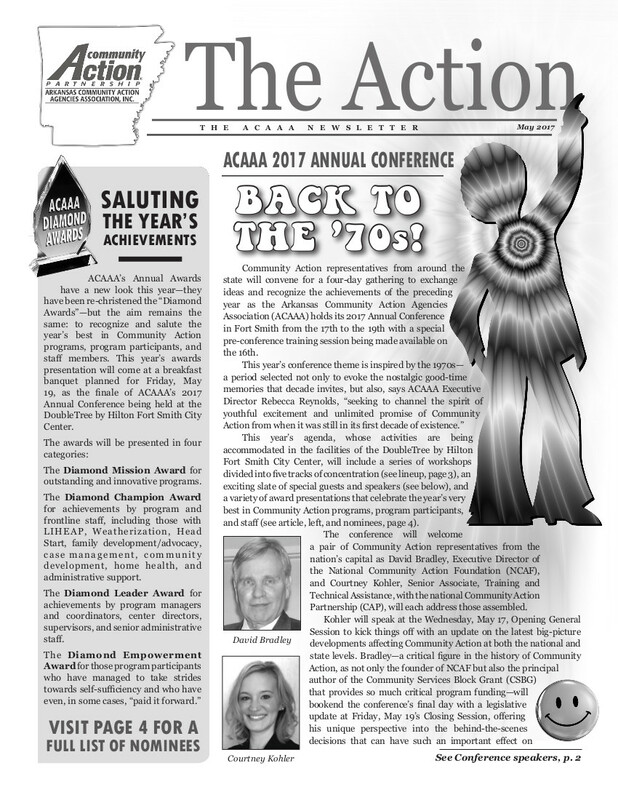 This year’s Conference theme is The 1970’s — join us for a groovy meeting overview of workshops, presenters, and award nominees! 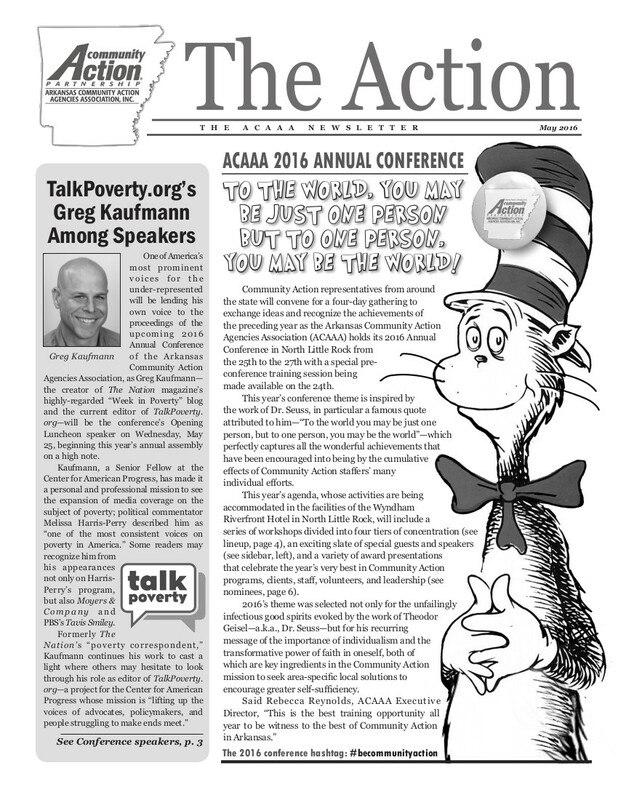 Guest speakers Sister Simone Campbell, David Bradley, U.S. 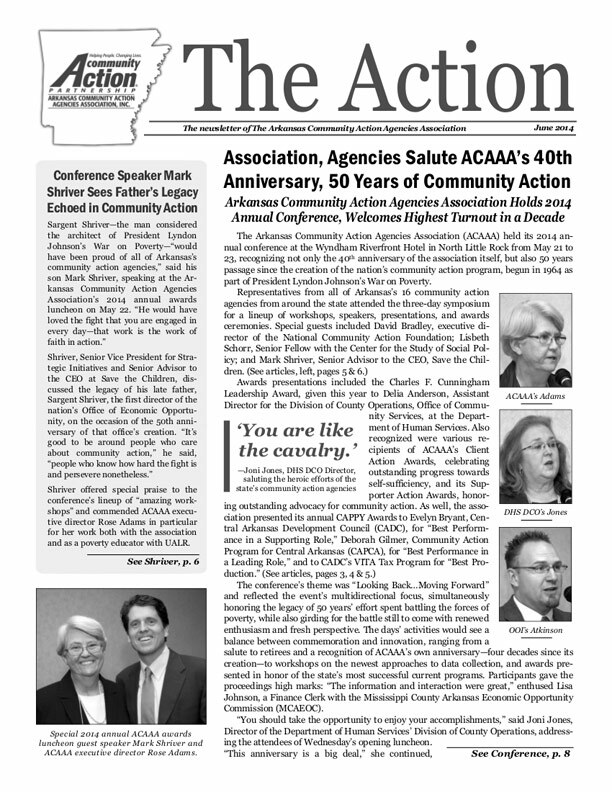 Congressman Steve Womack & more / Award nominees & workshop previews.